Are you bored to play it alone? Now invite your friend, get a FREE character and play together! and he/she reaches to level 5! Have no idea how to invite? Just tab the 'Invite' button! 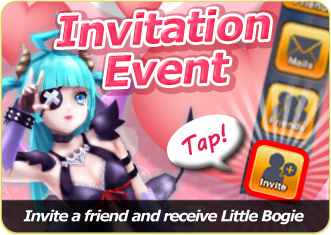 Then you can post your invitation code on your Facebook or Twitter page! This event will be going on from May 2nd to 30th!